A UN report finds that torture remains “deeply entrenched” in China’s criminal justice system. A UN body responsible for monitoring compliance with the Convention Against Torture and Other Cruel Inhuman or Degrading Treatment or Punishment expressed serious concerns over China’s use of torture, prolonged detention, and treatment of lawyers in its latest report. China was one of six countries whose state reports were considered by the UN Committee Against Torture (CAT) this session (Liechtenstein, Azerbaijan, Austria, Denmark, and Jordan were the other five). After going over China’s report and raising questions and concerns to a Chinese delegation, the CAT issued its concluding observations on China. First, the committee noted some positive advances since the last periodic review was conducted in 2008. In 2012, amendments to China’s Criminal Procedure Law banned the use of confessions obtained through torture and called for audio and video recordings of interrogations in major criminal cases. The 2012 revisions also specified that suspects are entitled to meet with a defense lawyer within 48 hours of making a request. CAT also approved of China’s move to abolish the “reeducation through labor” system in 2014. Yet despite that progress, there were loopholes and problems with the implementation of these advances. On the ban on confessions obtained through torture, the committee noted that the torture prohibition “may not cover all public officials and persons acting in an official capacity.” It also noted that the ban doesn’t apply to torture when it is used “for purposes other than extracting confessions from defendants or criminal suspects” – for example, beatings or mistreatment designed to intimidate already-convicted prisoners. The potential to hold people for long periods of time without legal representation, judicial supervision, or even notification to the families of where and why suspects are being held creates an atmosphere rife for torture and other abuses. The committee concluded that “these provisions… may amount to incommunicado detention in secret places, putting detainees at a high risk of torture or ill-treatment” and called it “a matter of urgency” for China to repeal the relevant provisions of the Criminal Procedure Law. The CAT also expressed its concern over China’s crackdown on human rights lawyers, saying it was “deeply concerned about the unprecedented detention and interrogation of, reportedly, more than 200 lawyers and activists since July 9, 2015” – of which 25 reportedly remain in unofficial “black jails” and four of which are unaccounted for. The report noted that “the Committee remains concerned at consistent reports that human rights defenders and lawyers, petitioners, political dissidents and members of religious or ethnic minorities continue to be charged, or threatened to be charged, with broadly-defined offenses as a form of intimidation.” Those “broadly-defined offenses” include the famous charge of “picking quarrels and provoking troubles,” often leveled at political dissidents in China. China was given a chance to respond to the concerns of the committee, and its response was what observers have come to expect from Beijing when it is confronted on human rights issues. The strategy is a dual insistence that: a) nothing is wrong with China’s human rights situation and b) China is fixing (or has fixed) all the problems. In his delegation’s response to the CAT, UN Ambassador Wu Hailong followed the usual playbook. He began by noting progress made since 2012, when China amended its Criminal Procedure Law. He denied many of the issues brought up by the committee, saying for example that all defendants have access to legal counsel and that lawyers can practice their trade free of government interference. 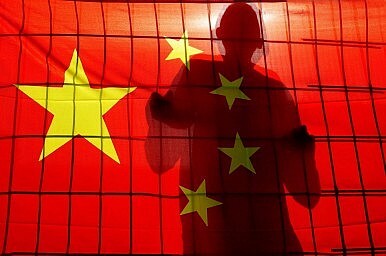 China is pushing forward in an all-round manner the law-based state governance. Great efforts and remarkable achievements have been made in all sectors including anti-torture, which are there for all to see. It is hoped that the relevant committee could be objective and just about the relevant issue.